From our solar-powered distillery, we are handcrafting a line of delicious, unique spirits that will delight the senses. These are not products bought in bulk and bottled straight out of the shipping container. These are spirits that we carefully — painstakingly — craft ourselves to meet our own exacting standards. Our spirits are balanced, rich in flavor, utterly unique, and MADE RIGHT HERE. Experience Vermont’s international award-winning winery and distillery. 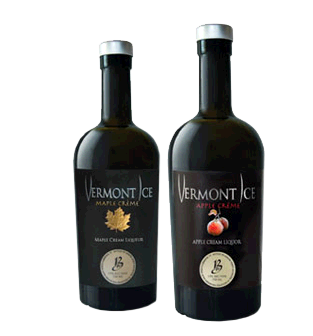 Producing Vermont’s premier line of ice wines and our NEW Vermont Ice Apple Creme and Vermont Ice Maple Creme Liqueurs. Seated in Vermont's agricultural community, our work is a celebration of our special connection to the land. 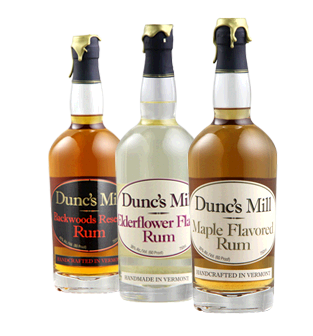 Dunc's Mill is the oldest continuously operating distillery in Vermont. Short for Duncan’s Idea Mill, LLC, it was the original home of Vermont Spirits and birthplace of Vermont Spirits Gold Vodka. 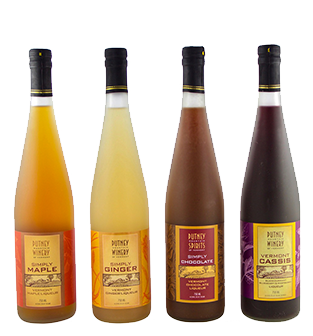 Flag Hill Farm produces regional, handmade, artisinal, all natural hard, dry sparkling and still ciders and apple eau-de-vie. 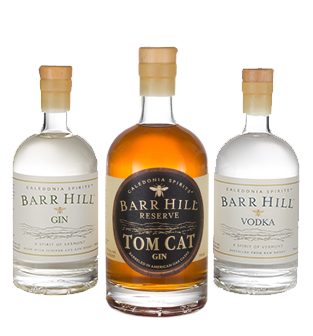 Since 2002, Timothy Danahy and Harold Faircloth III, the Founders and Master Distillers, have dedicated themselves to producing hand-crafted, organic distilled spirits. 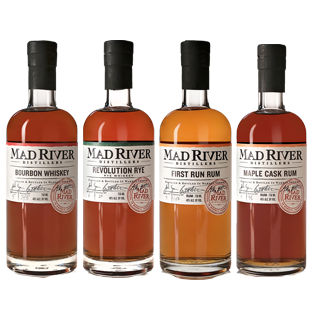 We started Mad River Distillers in 2011, on a 150 year old farm nestled in the heart of the Green Mountains. We are dedicated to the art of craft distilling; we make all of our spirits by hand and from scratch. 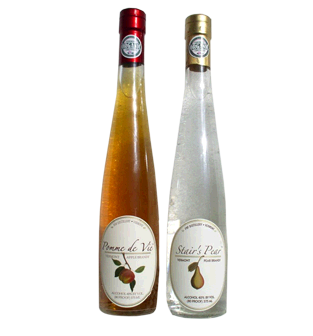 Putney Pommeau captures the essence of Vermont – Apple wine blended with apple brandy. 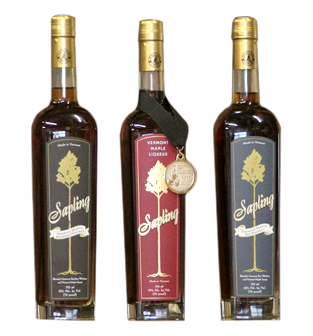 Sapling Vermont Maple Liqueur is a premium liqueur capturing the quintessential Vermont taste. 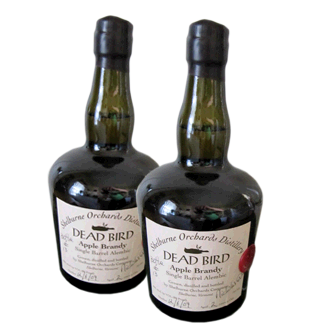 Apple brandy made from many heirloom and contemporary apple varieties grown here at our orchard. Aged 7 years in Hungarian and American oak barrels. Available here at Shelburne Orchards. 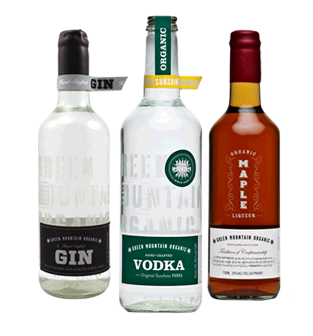 American Crafted Spirits was founded by 8th generation Vermonters to deliver on a vision of creating artisanal, handmade products that are premium and the best in category. 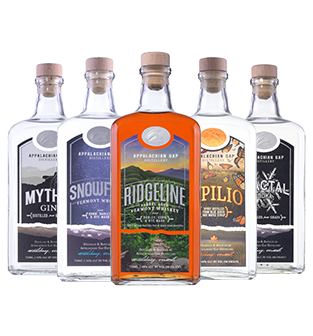 At Smugglers' Notch Distillery®, son/father partners Jeremy and Ron Elliott make and hand-bottle remarkably distinctive, hand-crafted spirits one small batch at a time. 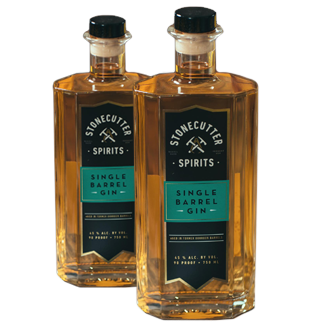 At Stonecutter Spirits, we believe aging makes all the difference. We combine barreling techniques from around the world to carefully age our gin and whiskey in Vermont. 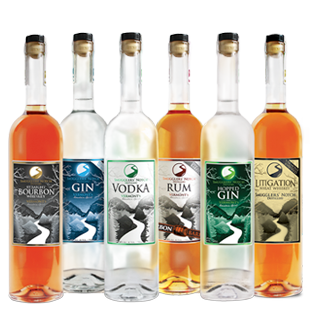 Vermont Distillers is a family run business in Marlboro, VT that produces fine liqueurs using the highest quality spirits and finest local ingredients available. 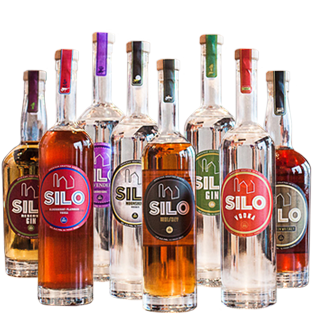 Vermont's original craft distillery is open year-round for tastings of its award-winning artisanal spirits. 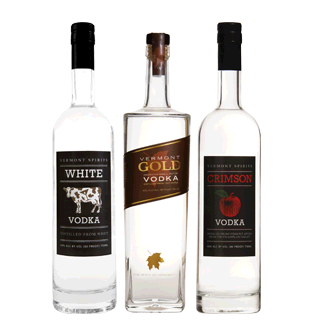 Visit the distillery store to sample our vodkas made from local ingredients including maple, whey and apples. Seated in the rolling hills of Shoreham, WhistlePig Farm produces a series of highly renowned rye whiskeys. 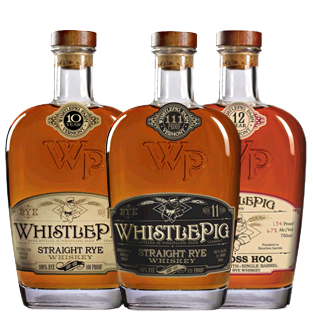 WhistlePig showcases the tremendous flavor potential of rye while maintaining a smooth and balanced profile, identifying it with the most acclaimed whiskeys in the world. Find WhistlePig at any Vermont liquor store and visit their tasting room in Middlebury! 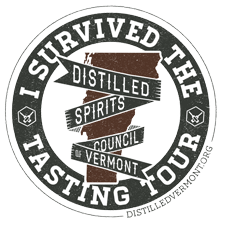 The Distilled Spirits Council of Vermont is a cooperative, non-profit organization created to develop, promote, and maintain the distilled spirits industry in Vermont. The Council members provide the region and tourists with the farm-to-table experience that Vermont is known for, while focusing their support on the regional craft distilling industry. Funding for the Distilled Spirits Council of Vermont website is provided by the Vermont Agricultural Innovation Center. Sip your way through our statewide tasting tour and claim your tshirt! The Distilled Spirits Council of Vermont is a cooperative, non-profit organization created to develop, promote, and maintain the distilled spirits industry in Vermont. The Distilled Spirits Council was founded in January, 2011. Now, you can enjoy all of the states spirits as you sip your way through our statewide tasting tour. Traverse the majestic Green Mountain State with stops along the way at each of our member’s distilleries. Sample local flavors as you observe the fermentation and distillation processes and visit the tasting rooms to discover what makes each spirit unique. 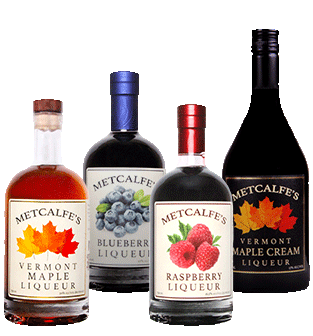 All content ©Distilled Spirits Council of Vermont. 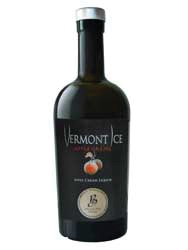 Funding for the Distilled Spirits Council of Vermont is provided by the Vermont Agricultural Innovation Center. Website by Four Nine Design - Burlington, Vermont Graphic and Web Design.